In 1959, Rolex introduced their latest dive watch with the Submariner 5512. This model was to replace the preceding Submariner 5510 and Submariner 6538. Among other things, the biggest change the ref. 5512 brought to the Submariner collection was the inclusion of crown guards. Since the Submariner was built as a tool watch to be used underwater by divers, Rolex was always looking to make the watch tougher and more resilient to external conditions. Therefore, the crown guards would beef up the Submariner and prevent possible damage to the winding crown. The Submariner was built as a tool watch for divers. The first batch of Submariners ref. 5512 featured square crown guards surrounding the winding crown. 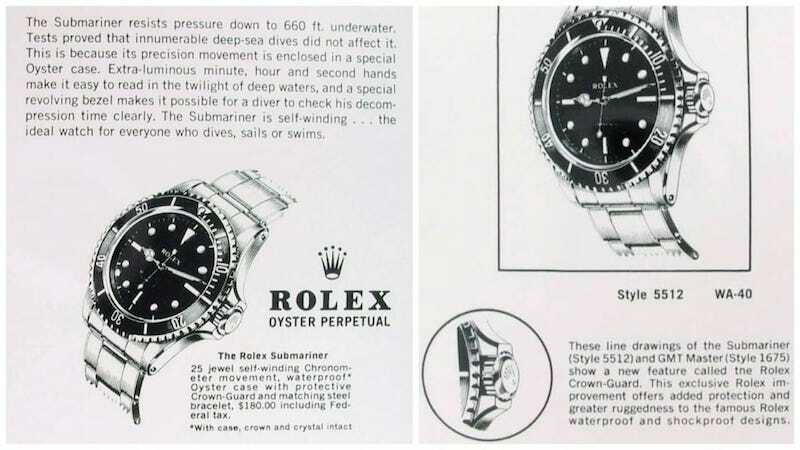 However, only a very small number of these were made because Rolex quickly realized that divers were having a hard time manipulating the winding crown with their gloves due to the square shape. Therefore, Rolex modified the square shape and replaced it with pointed crown guards. Subsequently, since only very few pieces of the ref. 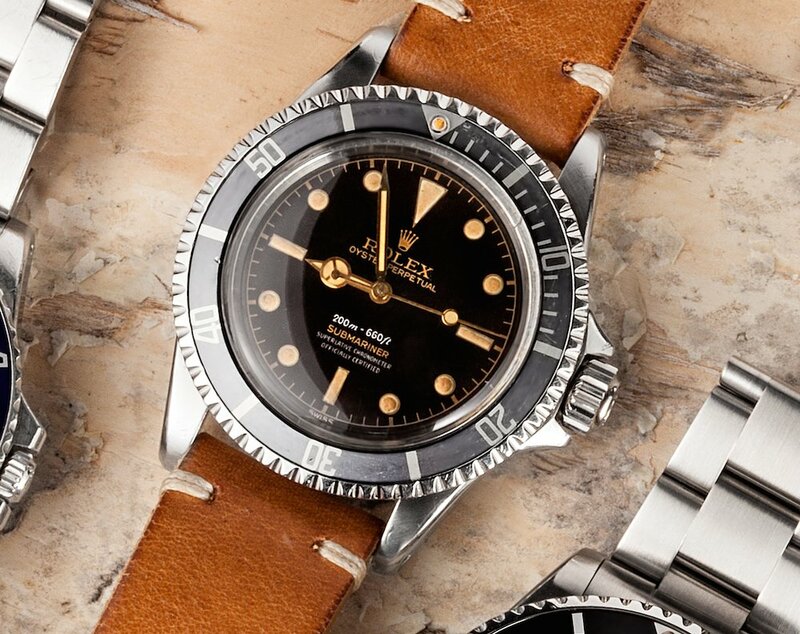 5512 with square crown guards were ever offered to the public, these are exceptionally rare vintage Rolex sports models that are high in demand. Note the differences from the triangle to the crown guards. Especially noteworthy is that the unused Oyster cases with the square crown guards that were meant for the ref. 5512 were sent over to Rolex’s sister company, Tudor. These castoff cases found a new home on the Tudor Submariner ref. 7928 models, which today has the distinction of being the rarest vintage Tudor Submariner to find. The pointed crown guards of the Submariner ref. 5512—sometimes also referred to as “El Cornino” just like the GMT-Master ref. 1675—were also eventually replaced by the more traditional crown guard shape that we are accustomed to today. Early models of the Submariner ref. 5512 housed the caliber 1530, which was not a chronometer. However, a few years after the 5512’s debut, newer versions boasted the chronometer certified caliber 1560 within. Thus, we see the evolution of the early two-line dial of the ref. 5512 make way for later 4-line dials bearing the “Superlative Chronometer Officially Certified” text on the dial. 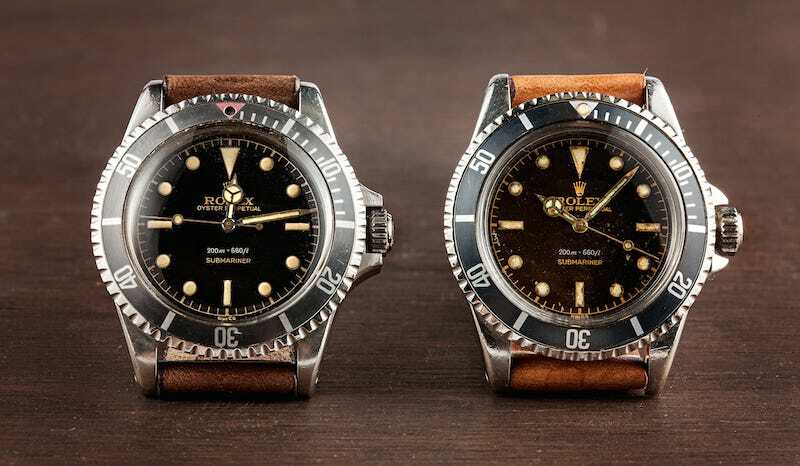 Vintage Rolex Submariner ref. 5512 with four lines of text and a well-aged patina. In the early 1960s, Rolex eventually complemented the ref. 5512 with a non-chronometer Submariner ref. 5513 powered by the caliber 1520. And since the Submariner ref. 5513 was not a chronometer, it never had the Superlative Chronometer Officially Certified on the dial, thus remained as a “two-liner” Submariner throughout its history. The general public at the time favored the ref. 5513 over the ref. 5512 since they looked almost identical yet, the latter was more expensive due to it being a chronometer. 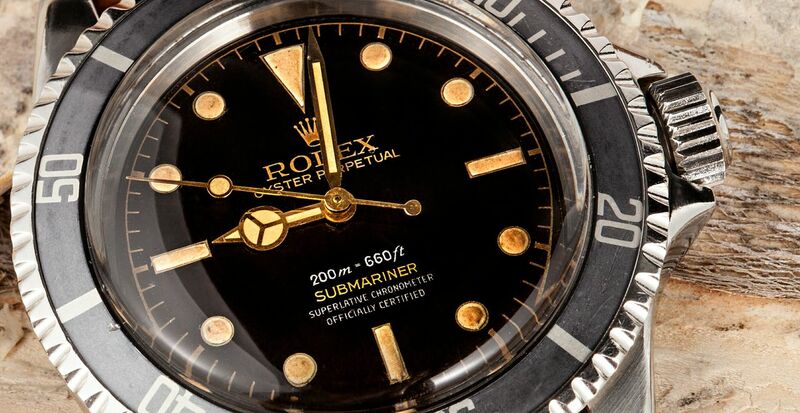 Consequently, Rolex produced more Submariner ref. 5513 models than Submariner ref. 5512 models. As a result of the lower production numbers, the Sub 5512 is more difficult to find in the vintage Rolex market today. Vintage Rolex Submariner ref. 5512 has a chronometer making it more expensive than its 5513 brother. 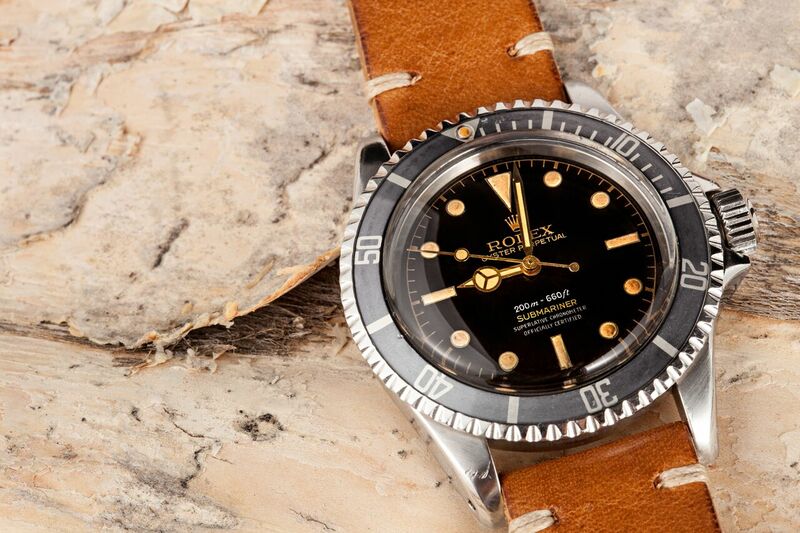 The Submariner 5512 remained in production until about 1978, thereby making it one of the longest-running Rolex sports watch references to date. During its 20-year history, the Sub 5512 has undergone plenty of modifications and improvements and today, it continues to be a very popular vintage Rolex Submariner to collect.